These kinds of prompts should always be taken advantage of. Remember that the college essay is a vital opportunity to let the school know specific details about your background that the application itself won't reveal. You have precious few chances to let the school know about your side of "the deal" - those qualities you have that the school wants in its student body. Make sure to take them! Even if you feel like you don't have a special extra curricular or professional experience that makes you stand out from the crowd, choose to focus on the things you love, and your passion for those subjects will shine through. Anything that improves the chances of the admission officer remembering you and your application is worth the effort. Here is a list of colleges that have been updated for the 2011/2012 application season in College Essay Organizer through August 25th. Expect this list to continue to grow each week. 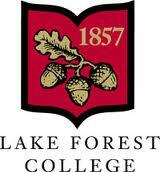 This year Lake Forest College outdoes itself with 15 essay requirements, many of which are multi-part and multi-page. What social justice issues are of concern to you and how you are personally involved in addressing those concerns? What leadership position have you held within a social justice organization? Have you attended a local, national, or international conference focused on a social justice issue? If yes, please share more about what you experienced. Have you received any awards or recognition relative to your involvement in social justice issues? Student leaders at Lake Forest often effect change and leave a legacy from their contribution to the College community. As you look forward to your educational experience at Lake Forest, what social justice issue will you champion and how will you effect change within our community or the world at large? It might look like a lot of work at first, but using College Essay Organizer can be a shortcut to money you didn't know was there. Each year we comb school websites not just for primary application requirements, but also for optional, department-specific, honors, and scholarship essays. Your College Essay Organizer Essay RoadMap can be your map to extra achievement, not to mention cold hard cash. Have you ever participated in a community service project abroad? Please explain your experience. Have you ever studied abroad? Please explain your experience. Have you ever been involved in a community service project other than one required by your school or another organization? Please explain your experience. These are the kinds of questions that give applicants an opportunity to stand apart from the pack a little bit, so Tulane's decision to present these questions to all applicants was the right choice. It works in the applicants' favor as well as the school's - after all, they want their student body to be as strong and diverse as possible, so no need to make it difficult on people who have these kinds of exciting elements to their backgrounds. 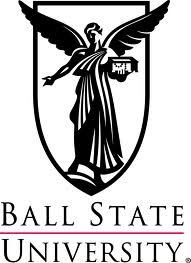 Ball State University has now been updated by College Essay Organizer. 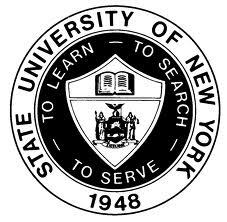 There are fifteen program-specific questions, as well as four additional scholarship program questions. Using College Essay Organizer can help you not only find these hidden questions, but also explore your opportunities while writing your responses to them. Many applicants are unaware of the many different options they have when it comes to applying to a college or university, so College Essay Organizer can be your primary tool for finding out about departments and specific programs that suit your interests. Some applicants might have a better chance at admission if they apply to a program or department that best suits their interests and talents. Make sure to explore them all via College Essay Organizer and make sure your admissions chances are as strong as possible! Just a few days ago we blogged about the slight disparity in the Common App's word count versus character count limits for the short answer essay requirement. The difference was slight but significant - 150 words (in theory) was actually 750 characters (a hard limit), which meant for the potential of an ugly cut-off if your 150 words happened to be particularly long words. The Common App has responded to this issue and changed its short answer requirement from 750 characters to 1,000 characters. We have updated our Common App settings at College Essay Organizer and adjusted the Essay RoadMap readouts to reflect this change. It should also be noted that the Common App did not post an official notice of this fairly crucial change (they've increased the length requirement by a third without saying so! ), but College Essay Organizer is on the case as usual. Please provide additional information that will help us better understand your academic performance. You may also explain any chronological gaps in your academic history (e.g. a period of time after high school graduation before applying to college). At first glance, this question seems like it could be an optional "tell us anything" prompt, or even a required "disciplinary" question, telling you to explain any suspensions, or run-ins with authorities that have disrupted your time in school. At College Essay Organizer, we recommend that anybody without the kind of disciplinary problems or "gaps" in the academic record use this prompt as an opportunity to discuss his or her intellectual interests. We have discussed the intellectual interest essay here before on the blog, but most importantly, it is the piece of writing that tells the school why you are interested in what they can offer you, and what you bring to the table as a member of the student body. It is a chance to discuss your interests while also implying what you are good at and how you spend your time most effectively. It can be a chance to distinguish yourself from your peers in a unique way, which is something you should always be looking for opportunities to do. One of these people goes to Brown University. Exciting! You should probably not write your essay about that. "A distinctive feature of the Brown Curriculum is the opportunity to be the 'architect of your education.' Why does this academic environment appeal to you?" This is another way of asking why you are interested in the school, something we've addressed here on CEO Blog before. When Brown asks you what's so great about leaving your educational requirements for you to choose, what they're really asking is what you are interested in and how you plan to take advantage of the opportunities such an arrangement allows you more than anything you might find in a Brown University promotional pamphlet. Don't forget that your writing is always about what you can do for the school and its student body, regardless of the question. The implied meaning of all your responses is that you are a desirable candidate, and that you have qualities that set you apart from the thousands of other applicants. So when writing about a school-specific quality, like when addressing this prompt from Brown, make sure that you are identifying your own interests, and detailing how they would come alive in such an environment. Be specific, clear, and assertive and find the spots where their interests are yours, too.